I know that people most often associate curry with colder weather… but in our household… there is no specific season for curry, because we like a bit of heat in summer too!!! Koen from Teveel Kookboeken (as if you could ever have too many cookbooks !?!) shares a delicious vegetarian option with us – Lentil Curry with Green Beans. And following on from the vegetarian theme, Sylvain of Un Peu Gay Dans Les Coings offers a Chickpea & Potato Curry. 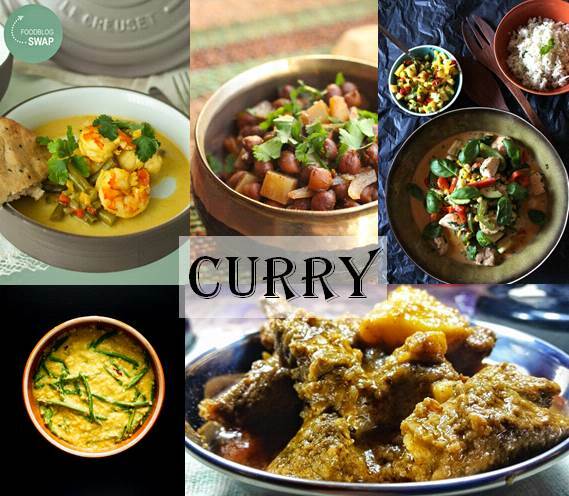 Do you have a curry recipe that you wish to share with us? Just add the link to the comments section below!